Do you have a “best way” of writing? Some writers are the pen and pad “longhand” writers. They feel the satisfaction of scrolling their pen over the page. Others have become accustomed to the clicking of keys at a computer and there may even still be a few folks who hold sacred the pounding on typewriter keys, the old Underwood most notorious. 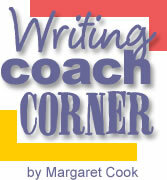 Once you have the feel of your preferred method, you will probably know where you will practice your habit of writing. The laptop owners will be flexible in taking their keyboard anywhere that a pad and pen writer can go almost. If you will be tied to your desktop, the options may narrow. Consider putting your desktop in a place that you feel will inspire you as a writer. Now you have a time, a place and an intentional environment for writing. What will you write? If you need a starting place, look at the writing of your life you already do and incorporate it into your new routine. Do you regularly correspond with anyone? Are you usually writing cards for people? Maybe you have the excellent practice of keeping a journal and you can use your time and place for your daily journal writing. If you are sure you don’t already have any regular writing that you do, select something you would like to do for writing. Identify something high in interest or emotional value for you, especially if you tend to be a reluctant writer. Next month, we will explore some specific ways to build your writing skills through certain writing activities. If you have questions about becoming a writer or comments about the article, send them to the Editor and we will respond and/or incorporate your needs in future articles. Remember that you will grow as a writer the more you write. Copyright © June 5, 2006 – Margaret Cook. All rights reserved.